Hazard's long-term future at Stamford Bridge has been a hot topic for debate over the past few seasons. Links with Real Madrid seemingly won't go away and the Blues are working hard to tie down his services with a bumper new contract. The Belgian maestro is reportedly set to become the Premier League's top earner with wages in excess of £300,000-a-week and Nevin reckons the 26-year-old is worth such massive amounts. 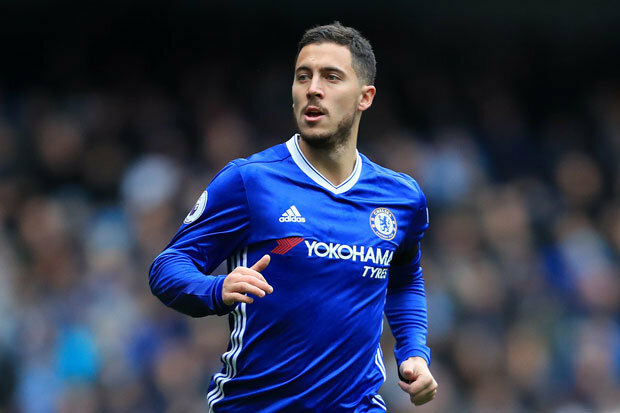 The ex-Chelsea winger says Hazard can 'destroy' rivals unlike the other stars in Antonio Conte's squad and insists it is vital he stays if the west Londoners want to secure their place as one of world football's top sides. Nevin told Starsport: "Last season it became clear the affect that he has on the team and the club, especially compared to when he didn't have a good season the season before. "He makes a huge difference. The players who can bring extra stuff and are that touch above everyone else and take two or three players out of the play, they destroy systems. "If you want to win things, be it the league or the Champions League, if you want to win the major trophies then you need major players like Hazard. "If their aim is that high, you need him and need to keep him and know that he is worth just about as much as anyone else." Nevin has also hailed the talents of Chelsea's £60m summer signing Alvaro Morata. Conte and co have suffered a major blow with the news that the 24-year-old striker is set for a lengthy spell on the sidelines after hurting his hamstring during Saturday's defeat to Manchester City. Morata had netted seven goals in just eight Blues games before his injury and will be a huge miss for the Premier League champions. Speaking before Morata's injury, Nevin discussed why the Spaniard has impressed him so much since joining, claiming the forward is 'bordering on perfection'. He added: "At the start of the season I was asked about Chelsea losing Diego Costa and missing out on [Romelu] Lukaku but getting Morata and I think people were surprised when I said I'd take Morata anyway. "Not because he'll score more goals than the others, he still might, but because of the other things that he brings to the table and the fact that he's only 23. "I see the arguments for the others, like Lukaku, but as an all round player and as a technical player, I think Morata is almost bordering on perfection for a centre forward. "Comparing him with [Harry] Kane and [Sergio] Aguero is different because those two are world class and I wouldn't compare him at the moment because Kane and Aguero have done it for a period of time in the Premier League. "But I may be saying something different [about Morata being world class] in a year's time."